We strive to create our legacy by building and preserving yours. I believe you will find that we love your art glass almost as much as you do. We have an excellent reputation for successfully planning and conducting challenging projects that others are not interested in or cannot do. Contact me and let us help you. 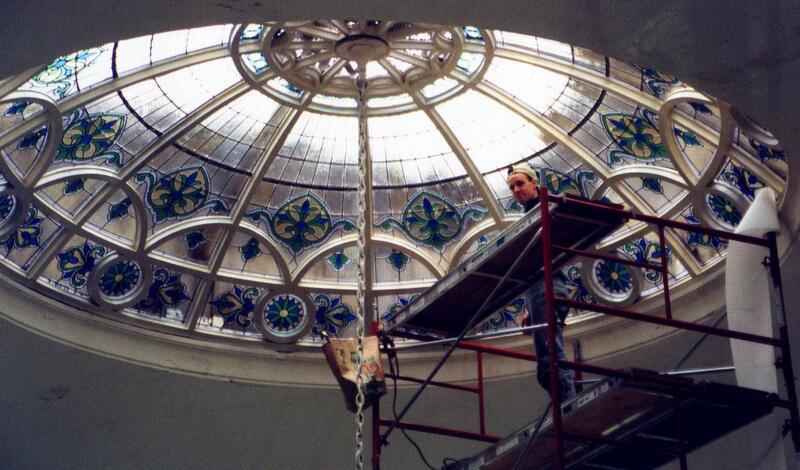 Restoration of seriously damaged or dilapidated stained glass can actually provide another lifetime for them. "We'll make it as good as old." Click arrows next to grid for more examples.